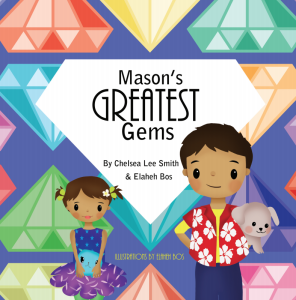 A few years ago Elaheh Bos and I published a book called Mason’s Greatest Gems which shares the story of a little boy who learns to use gems as an analogy for the virtues within us. 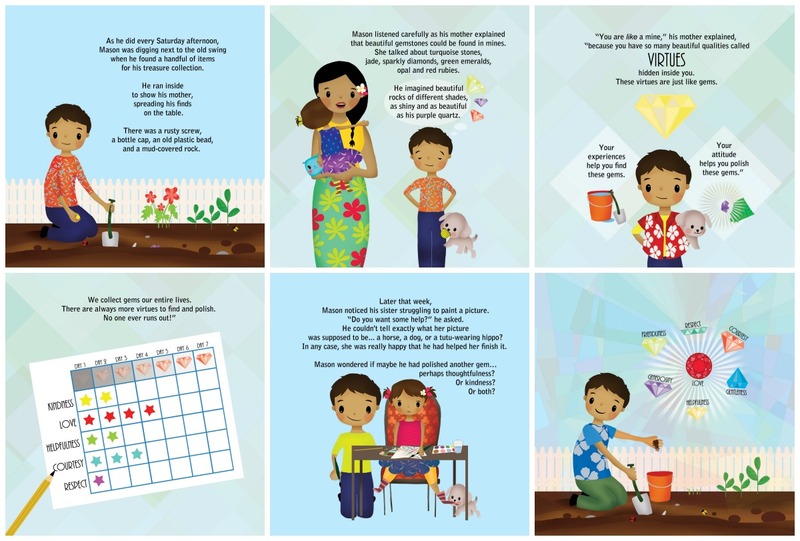 Although Elaheh and I put together a printable activity pack to go with the book (you can find it here), I also love to see what other activities parents and teachers come up with. There have been so many amazingly fun ideas – you can find some by searching the hashtag on Instagram #masonsgreatestgems. Please post any more you create as well! 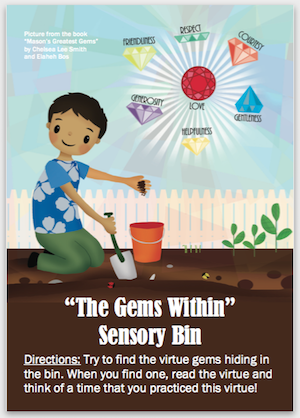 A while back I saw a Mason’s Greatest Gems inspired sensory play activity by @playwithfelix that was absolutely adorable. 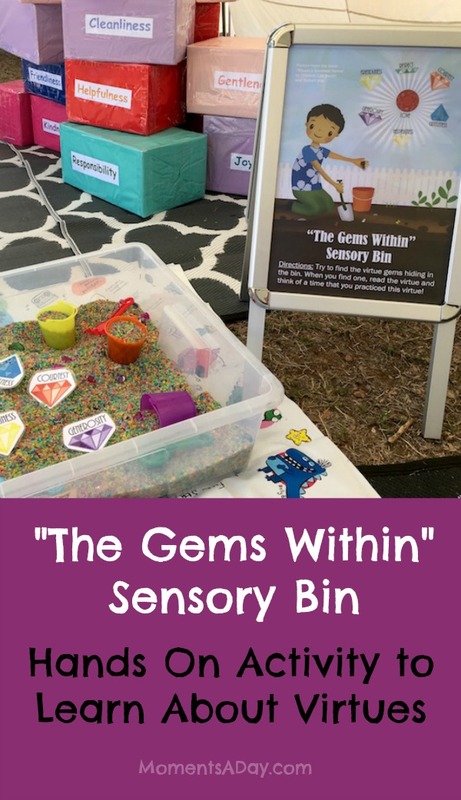 I decided to try out the idea out myself and here’s the sensory bin I came up with, which was used at a festival last weekend. 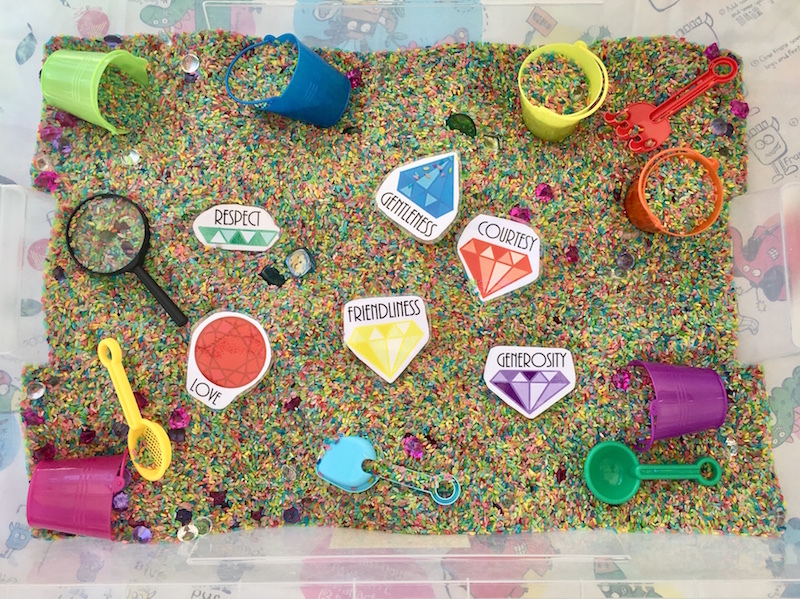 I used a Rainbow Rice recipe from Happy Hooligans, and added gemstones, buckets, digging toys, and a magnifying glass. I also made a sign with some directions asking the kids to find the virtue gems and to think of a way they practiced each virtue. This made for some wonderful conversation starters. It was so interesting to see all the ways different kids played, from toddlers (under supervision of course, as there were items that would pose a choking hazard!) to teens. After finding all the virtues, sorting gemstones by colour was definitely a favourite. I didn’t actually mean to but I had added gems matching all the colours on the little buckets, which made for great sorting fun. Download the sign above by clicking here. 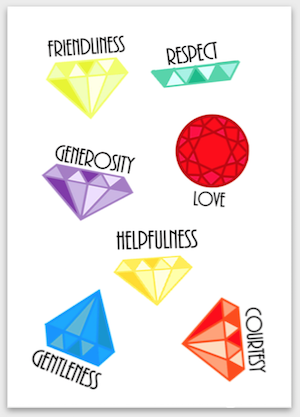 Download these printable gems by clicking here. To read more about Mason’s Greatest Gems, visit this page. 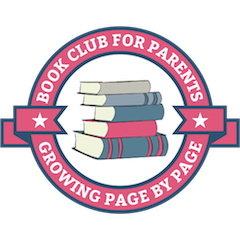 Have you read Mason’s Greatest Gems? We would love to hear how you have used it at home or in the classroom! This post contains Amazon affiliate links. All opinions are my own. To read more about sponsorship on my website, visit this page.